In business, you can’t afford to only look on the bright side. You have to expect the best and plan for the worst. That means having a contingency plan. Often a contingency plan isn’t just planning for worst case scenarios; it is planning for the things that happen in business that can disrupt your day-to-day operations - from a co-founder going through a messy divorce, to a data breach, to winning a large contract that could change the trajectory of your business. Contingency planning puts your organization in a position to anticipate challenges, respond strategically when met with unexpected change, and to quickly recover from change. 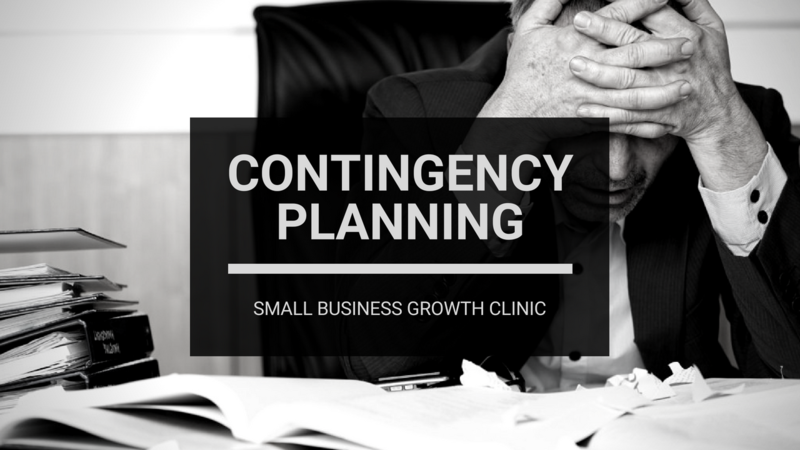 The Contingency Planning Clinic will walk you through the process of finally putting together a contingency plan that will map out step-by-step how your organization will respond in such situations. Keep an eye on your inbox to find out when the next Contingency Planning Clinic will be.